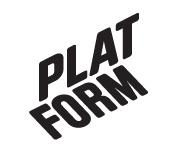 March 2008 – Platform r.f. Platform is pleased to announce the opening of an exhibition by the London-based artist Barry Sykes, our current artist in residence. All the works have been conceived and completed in the five weeks since Barry arrived. Barry works with a wide variety of methods; primarily sculpture and drawing but also singing, stealing, fitness, forgery and lies. Recent projects have led him to impersonate a part-time police officer, make a series of sculptures blindfolded and redesign British currency. His work asks questions about usefulness, experience and appropriate behaviour. The title of the exhibition, Tree Hugger, is used deliberately out of context. Usually used as a derogatory term for ecologists and extreme nature lovers it is instead used to raise questions about the approach, intentions and possible benefits of the works. It also describes a desire to interact with your immediate surroundings and the absurdity of some of the activities this has involved. For this exhibition Barry has devised a number of strategies to create new work in reaction to the expectations of a residency model. His only pre-planned tactic was to involve two collaborators working from London, each in very different ways. For the project ‘The Dad Directives’ Barry has sent his father – a keen amateur photographer – 6 short instructions every weekend to take one photograph and send it to him in Vaasa. These have included ‘Go out of the house after dark and photograph any house with a window that you can see someone through’ and ‘Take a photograph of a photograph you wish you had taken’. For his research project with i-cabin gallery, Barry has undertaken a long email conversation about importance, usefulness and philanthropy. This epic text will be available to read in the gallery alongside a large hand-drawn map of Vaasa produced by i-cabin based on Barry’s description of the town and exactly €100 worth of adapted wooden handicrafts purchased from the Vaasa prison inmates shop. Other works in the show will include a blatant rip-off of another artist’s work, a design for a new font and a sculpture of two imaginary wall brackets. Barry Sykes was born in Essex, England in 1976. He gained his Masters from Chelsea College of Art, London in 2000 and lives and works in South East London. His recent exhibitions include Evolution de l’Art, Bratislava (2007); Itchy Park 1,2,4 & 5, Limehouse Town Hall, London (2004-2008); Putting spark back into your relationships, Gallop design studio, London (2006); Romantic Detachment, PS1 New York and Chapter Arts Cardiff (2004), and Déjà Vu, ProArtibus, Ekenäs, Finland (2006). In 2006 he was nominated for the Paul Hamlyn Foundation Award for Visual Arts for his collaborative work with the artist Sean Parfitt. Tree Hugger is his first solo show in Finland.